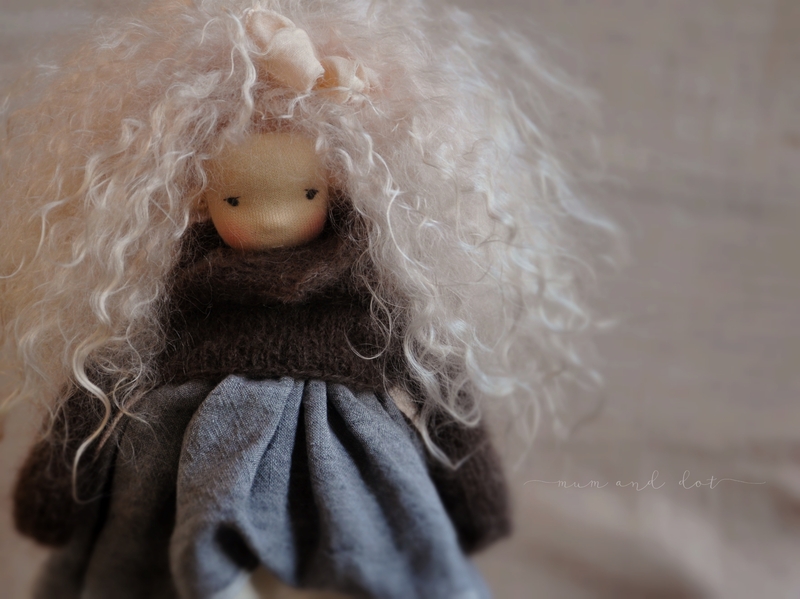 Nanna (12 inch) represents my collection of classic Waldorf inspired dolls. 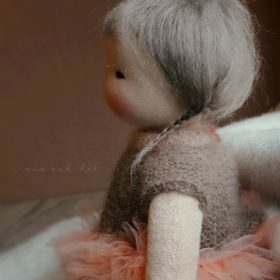 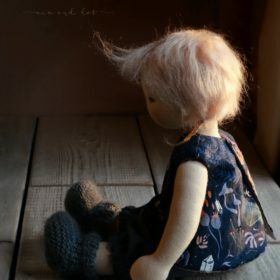 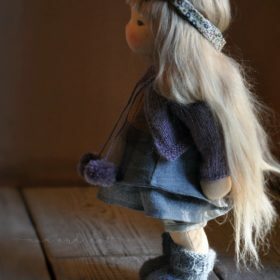 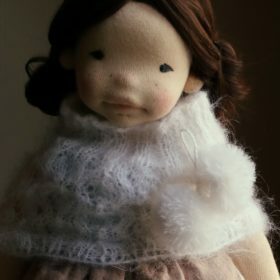 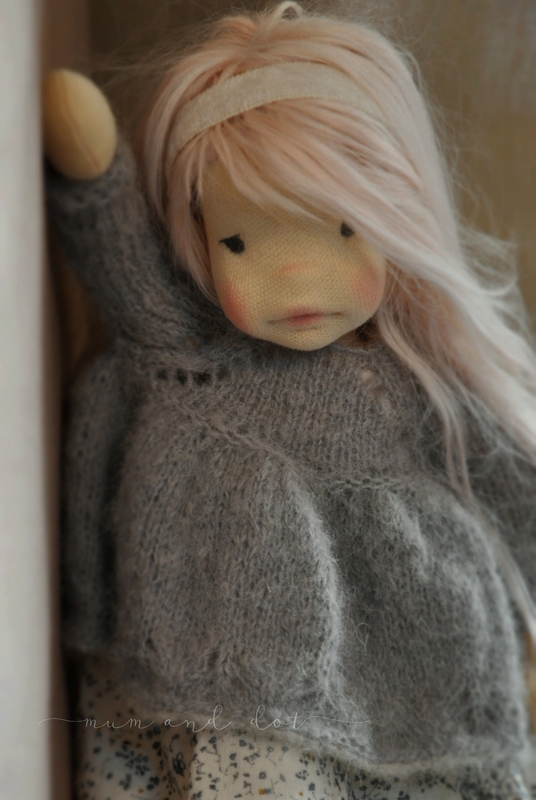 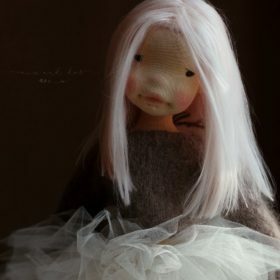 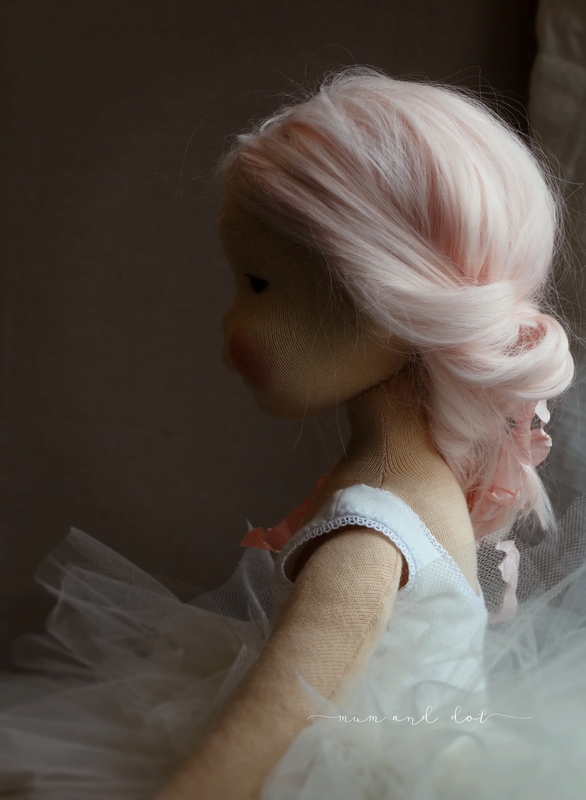 Although she has a simple round face like waldorf dolls have, her body has more sophisticated structure and is all needle felted and shaped to resemble a child. 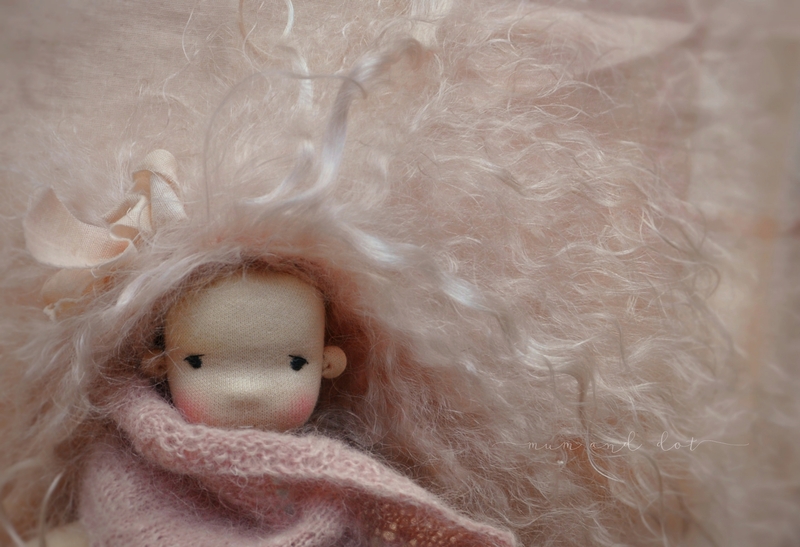 Her wild hair is made of silky soft hand dyed salmon pinky mohair. 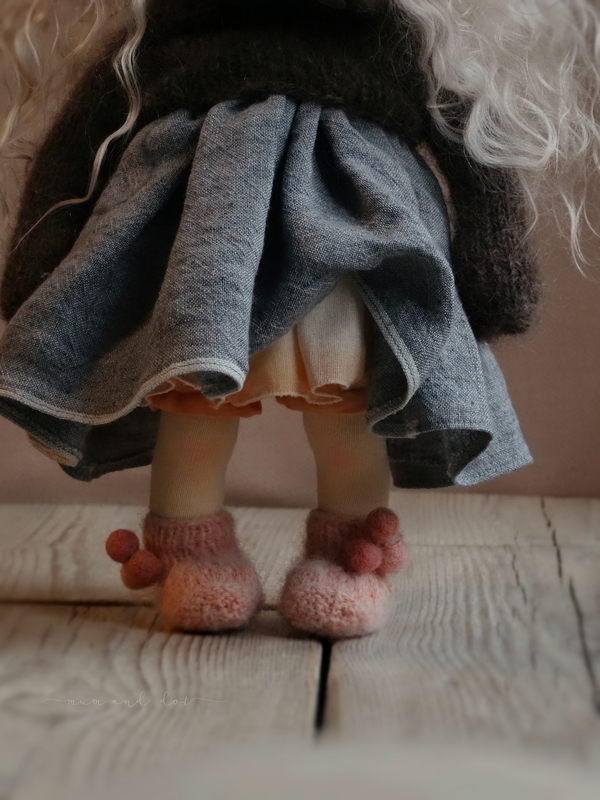 She comes dressed in a stone washed linen dress, hand-dyed ombre cotton under skirt and pants, knitted baby mohair sweater with little buttons, knitted booties with pom poms and cotton undies.